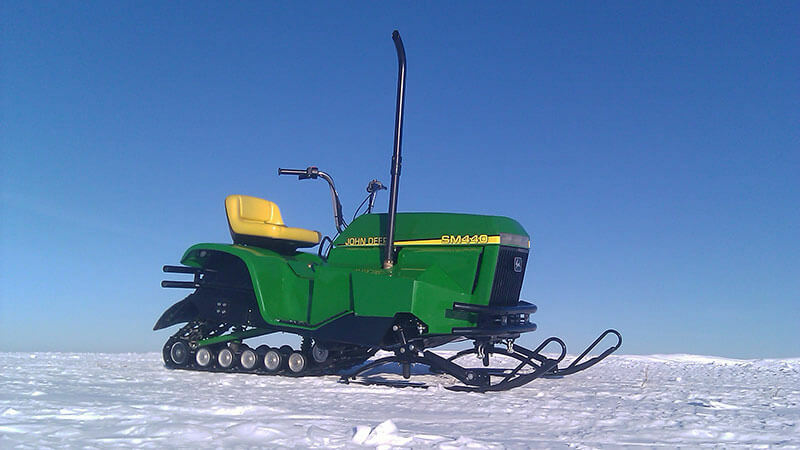 Check this out, Wyatt K. took an old snowmobile and lawn tractor and put them together to create a unique and awesome machine. Head over to the Sled Build site and read all about why, what and how he did it. You will find 10 more photos and a couple of videos there that tell then entire story.